You are here: Home / News / Daughtry's Adding More Tour Dates Across North America! 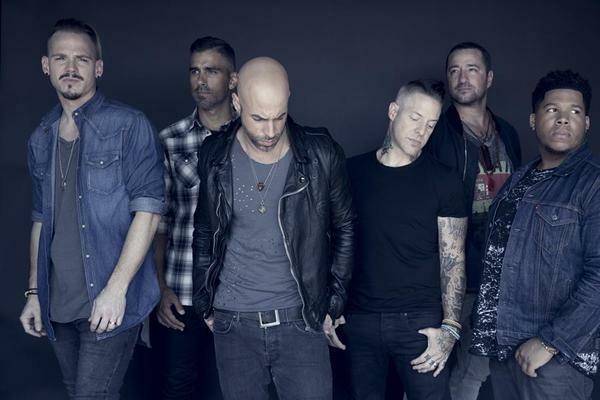 Daughtry's Adding More Tour Dates Across North America! Concert tickets and VIP Meet & Greet Packages start going on sale July 14th at 10am Local Time; but Fan Club Members get access to a special pre-sale for select dates starting July 13th at 10am Local Time! Just login to your Fan Club account and grab the unique code from your Dashboard to unlock tickets. Codes will be added to Dashboards 10 minutes prior to the pre-sale start. If you don't see your city listed below, don't worry. More dates will be announced soon! You so need to come to to the UK... x???? Please come to Vancouver BC, Canada!! Please add Las Vegas to your tour dates! I took my daughter to see you play at the M last year...It was just amazing. Just downloaded the new album and its amazing!!! Just told my wife tonight about what I had gotten for her for the show in Bend, Oregon. Wanted to wait until the day of the show to tell her but sometime life doesn't happen that way. Today we had a life experience and some news that is changing our lives in the future. She needed to be lifted up after today and I thought t his would do it as Daughtry is one of her favorite bands. VIP on stage experience in September in Oregon. This made her day. So happy my baby is happy. See you in September. Pumped about these new dates that have been added! I've got two tickets for me and my oldest son in Nashville, and I've got three tickets for me and my youngest daughter and youngest son in New Orleans! After these two shows, my entire family will have seen and heard Daughtry live and will have been a part of the meet and greet at each show! So excited! Please come to Melbourne Australia. Have been waiting for 10 years!!! Please come to Spain... I’ve wanted to see you live since I was 16!!!! Got our tickets for Bend, Oregon show. Got mine !! YAY !! anyone else going to the chicago show ? ?